Being part of the royal family means every stylistic choice you make is put under a magnifying glass. 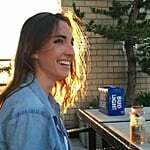 When Meghan Markle wore her hair in a ponytail instead of her usual bun, people immediately took notice of her rare 'do. 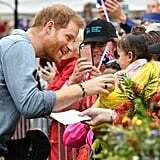 When Sarah Ferguson wore an enormous gold bow on her hat while attending her daughter's royal wedding, onlookers went so far as to compare it to the Golden Snitch from Harry Potter. 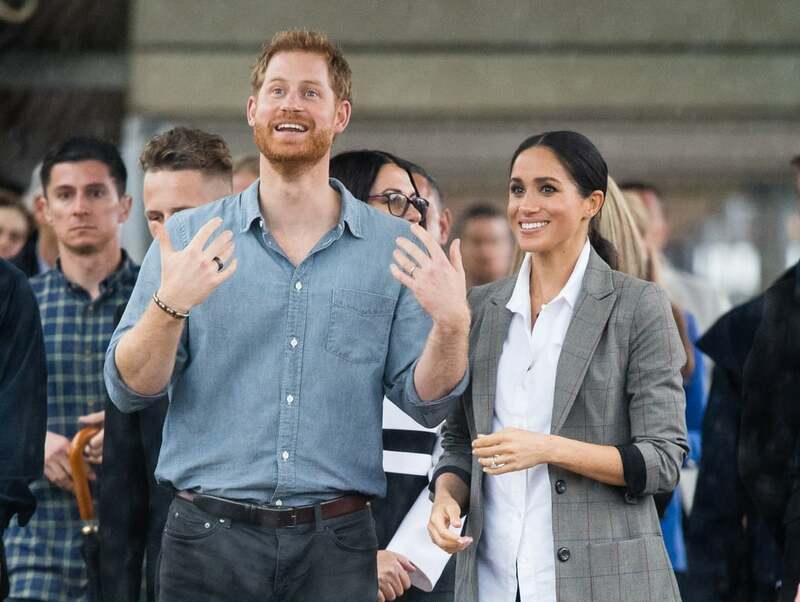 And when Prince Harry randomly slipped a new ring on his right hand while touring Australia, the entire internet exploded into a tizzy trying to figure out what it meant and where it came from. 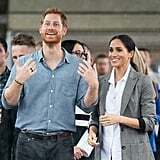 The Duke of Sussex has been wearing a simple gold wedding band on his left hand since he married Meghan back in May, but when he and his wife arrived in the land down under, eagle-eyed royal family fanatics promptly spotted his new bling. 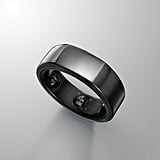 A thick metallic black band, Harry's new piece of jewelry brought about tons of questions. 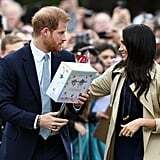 Is it a gift from Meghan to celebrate her pregnancy? Does it somehow pertain to the upcoming Invictus Games in Sydney? Is he simply trying to step up his street style game? Well, wonder no more, because we found out the answer, and it's actually pretty surprising. Harry's sleek ring is — drumroll, please — a sleep and activity tracker, People reports. 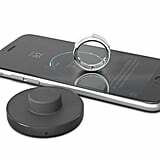 The so-called Oura Ring keeps tabs on your daily sleep schedule and movements throughout the day via an app, helping you achieve optimal performance. It retails at $299 and comes in four different colors. Look at Harry, being a beacon of health while simultaneously making a fashion statement! 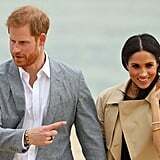 *Swoons* I mean, we can hardly blame him for wanting to get a good night's rest during his whirlwind 16-day tour in Australia with Meghan. 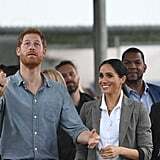 Ahead, check out a few snaps of the Duke of Sussex sporting his new bling, and keep reading to shop the Oura Ring for yourself if you'd like to track your sleep in style, just like Harry.